IP Surveillance System / KTW Inc.
IP Surveillance System, IP Cameras, Access Control System by KT Workshop Inc.
XProtect™ allows for easy live viewing, recording, and playback along with easy setup for over 454 different cameras and encoders from over 49 manufacturers around the world. It is in use every day in over 90 countries around the world and is the perfect solution to the demanding needs of the security market. 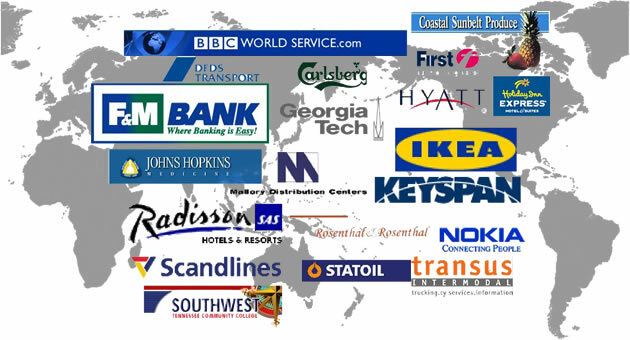 XProtect™ is currently used in various kinds of installations all around the world. The system has been installed for more than 40,000 end-users in more than 90 countries world-wide with a total of more than 350,000 cameras up and running every day. The manufacturer of XProtect™, Milestone Systems of Denmark, is devoted entirely to the development of IP surveillance systems. In a study conducted by IMS in September, 2005, Milestone was found to be the world market leader for IP surveillance software with 16% of the world market and 38.6% of the European market. 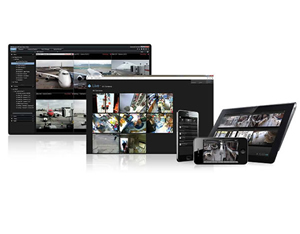 All features, including multiple camera live viewing and quick searching based on time, camera, or motion detection are conducted through XProtect's™ highly intuitive graphical interface to manage viewing and recording so that even first-time users with absolutely no experience will be able to get the most out of the system. Using the Smart Client, it is also possible to view live or recorded video at any time from any location. Use your PDA or send alerts to your mobile phone, with XProtect™, it is possible to always keep an eye on what is going on. Flexibility to use cameras that match your exact needs and preferences regarding functionality, shape, design, and cost. It is even possible to use cameras from different manufactures in the same installation in order to fully customize your system. Milestone regularly works with manufacturers to make sure that the newest cameras and technologies as they are released, such as 360 degree cameras, megapixel cameras, or infrared cameras work perfectly with the system for the ultimate flexibility and functionality now and into the future. Raise performance with your current system. Along with video encoders, you can even use your pre-existing analogue cameras so that you can protect and make use of your current investments in security. Expand how you want, when you want, and wherever you want with this future-proof system. 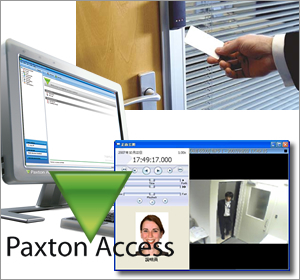 Through integration with Paxton Access Control's Net2 system, it is possible to match video with access control logs, user data, and access permissions to make for an even more complete security solution. It is also possible to link XProtect™ video and video recording functions to all events from Paxton's Net2 access control system. These include entry/exit, forced entry, door left open, or any other access-related event. View all this data along with video by simply clicking the camera icon within the Net2 screen.